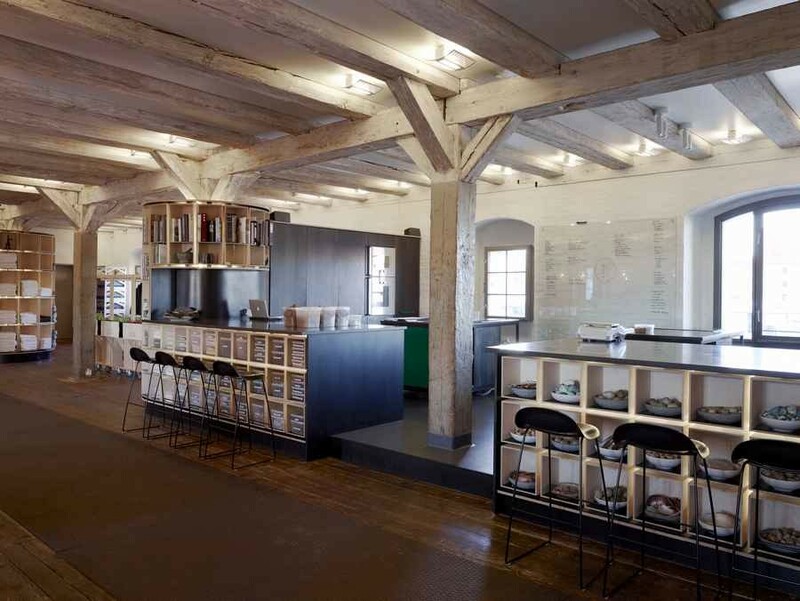 The NOMA Lab is connected to NOMA situated in a former warehouse on the national registry of protected buildings. The tight restrictions meant that GXN was required to design the interior without using so much as one single nail in the walls or flooring. The approach was to design four central multi-functional storage units; each composed from over five hundred uniquely formed wooden cubes. 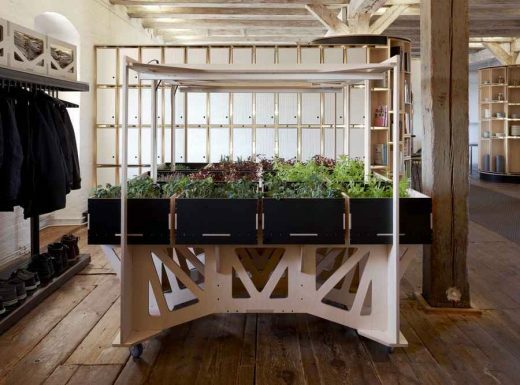 Curving playfully throughout the space, these units divide the 200M2 room into smaller areas accommodating the Food Lab, the herb garden, staff areas and office. 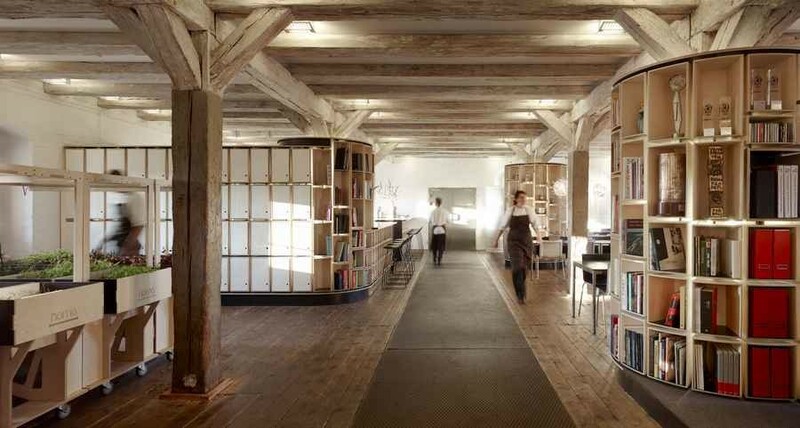 Raw and simple, through colours and forms, it captures a unique Nordic aesthetic. 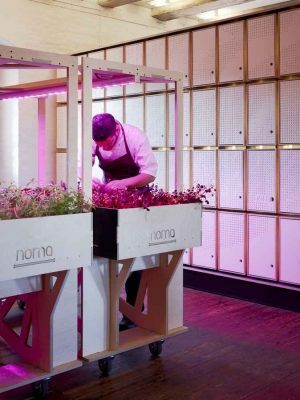 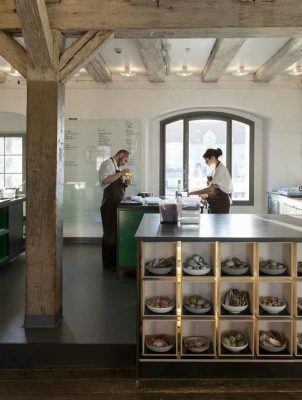 True to the restaurant’s philosophy, the NOMA Lab is developed exclusively using Nordic materials.